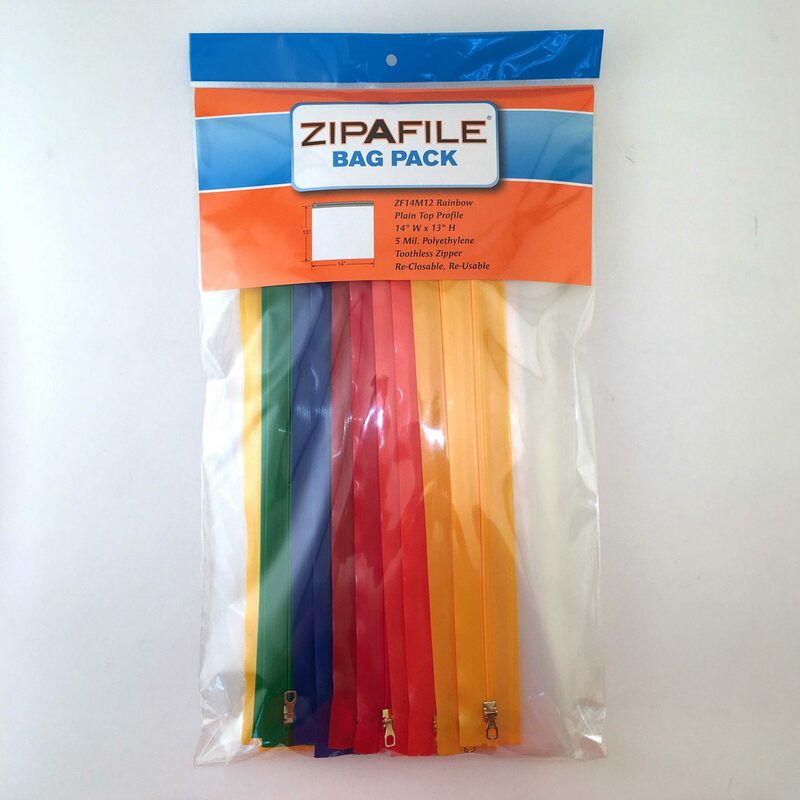 ZIPAFILE® Storage Bags – Box of 10 Retail Packs each containing 12 bags. (120 bags total) The bright storage bags are a fun way hold materials, create collections or scrapbook pages. Zipafile® is a registered trademark of Culvapac LTD. Bags of Bags™ is a trademark of Culvapac LTD. All rights reserved.